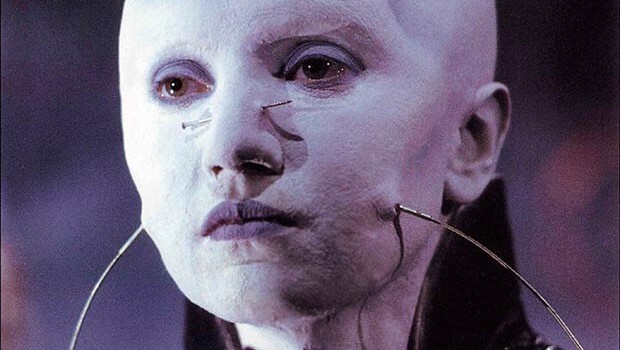 Love Horror: Interview with a Cenobite. Since beginning my work in genre film reviewing I’ve had plenty of great experiences and opportunities. However this comes as one of my most proudest moments. Earlier this year I became a contributing writer on a fangtastic horror website, Love Horror. I recently conducted my first interview for the site, an offer I grabbed straight away. Since a young age I have adored the first two Hellraiser films, the dark imagery presented in Clive Barker’s innovative, horror films are some of my earliest memories of becoming a fan of the genre, therefore it was such an honour to have the opportunity to interview one of the franchise’s icons, Barbie Wilde (who played the female Cenobite in part II). 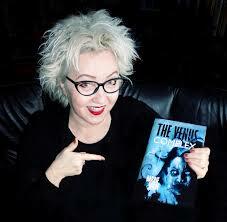 Barbie Wilde has had a varied and interesting career in horror, and I would like to thank her for taking her time to talk with me about her memories of Hellbound: Hellraiser II (1988), the controversy surrounding her novel The Venus Complex, her contribution to the Women in Horror Calendar (UK) and her upcoming project with Venomous Little Man Productions. This entry was posted on June 30, 2014 at 5:38 pm and is filed under Love Horror with tags Barbie Wilde, Clive Barker, Hellbound: Hellraiser II, hellraiser, Interview, Love Horror, The Venus Complex. You can follow any responses to this entry through the RSS 2.0 feed. You can leave a response, or trackback from your own site.